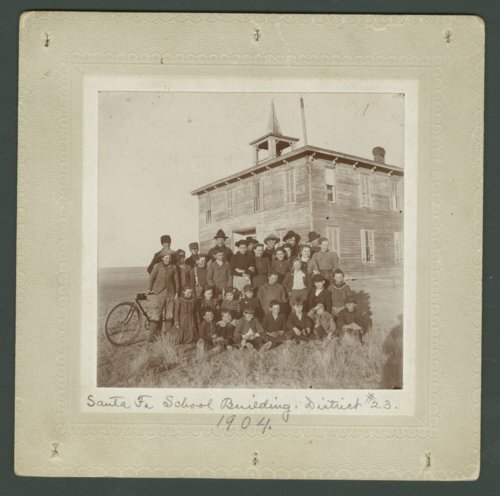 These two photographs show students from the Santa Fe District No. 23 in Haskell County, Kansas. The first image is an exterior view of students standing in front of the school building. While the second image shows an interior view of students standing in front of a chalkboard.